Acknowledgements. List of Participants. Session I. Inositide Signaling: J.G. Cory. Re-examination of the significance of nuclear localization of PLC&bgr;1 in the likelihood of its involvement in neoplastic cell growth (L. Cocco, L. Manzoli et al.). The termination of PI3K signalling by SHIP1 and SHIP2 inositol 5-phosphatases (K. Backers, D. Blero, et al.). Session II. Drug targeting and resistance: L. Cocco. Inhibitors of diverse metabolic steps cause increased apoptosis in deoxyadenosine-resistant mouse leukemia L1210 cells that lack p53 expression: Convergence at Caspase-3 activation (A.H. Cory, C.C. Edwards et al.). Targeting signal transduction (G. Weber, F. Shen et al.). Session III. Tumor Metabolism: J.J. Starling. Utilization of the promoter region of the midkine gene as a tool to drive therapeutic genes in a tumor specific manner (S. Sakiyama, L. Yu et al.). Opportunities for studying cancer by metabolomics: Preliminary observations on tumors deficient in hypoxia-inducible factor 1 (J.R. Griffiths, M. Stubbs). Session IV. Control of Phospholipase: O. Greengard. Structural and mechanistic aspects of phosphoinositide C&ggr; regulation (M. Katan, R. Rodriguez et al.). Phospholipase C&dgr;: From genome structure to physiological function (K. Fukami, T. Inoue et al.). Activation of PI(4)P 5-kinase by small G proteins (Y. Kanaho, H. Miyazaki, M. Yamazaki). Session V. Oxidative Stress: N. Katunuma. Importance of phase 2 gene regulation in protection against electrophile and reactive oxygen toxicity and carcinogenesis (P. Talalay, A.T. Dinkova-Kostova, W.D. Holtzclaw). Ferritin regulation by oxidants and chemopreventive xenobiotics (J. Wilkinson, E.C. Pietsch IV et al.). Session VI. 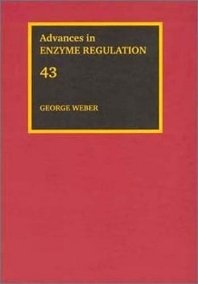 Regulation of gene expression: J.R. Griffiths. The regulation of adipocyte metabolism and gene expression by interleukin-11 (R. Tenney, J.R. Turnbull et al.). A comprehensive model for the allosteric regulation of class Ia ribonucleotide reductase (B.S. Cooperman, O.B. Kashlan). Raf kinases in lung tumor development (Rapp U.R., J. Fensterle et al.). Session VII. Regulation of Cell Proliferation: M. Stubbs. Interaction of cofilin with serine phosphatases PP1 and PP2A in normal and neoplastic human T lymphocytes (Y. Samstag, G. Nebl). Regulation of cell survival by atypical protein kinase C isozymes (H.H. Grunicke, M. Spitaler, et al.). Session VIII. Translocation and Activation: H.H. Grunicke. Regulation of cytosolic phospholipase A2 translocation (J.H. Evans, D.J. Fergus, C.C. Leslie). On the mechanism coupling phospholipase C&ggr;1 to the B- and T-cell antigen receptors (E. Bonvini, K.E. DeBel, et al.). Session IX. Evolutionary Analysis: R.A. Harris. Interpretive proteomics - Finding biological meaning in genome and proteome databases (S.A. Benner). Clostridum perfringens iota-toxin, ADP-ribosyltransferase: Structure and mechanism of action (J. Sakurai, M. Nagahama et al.). Session X. Signaling Pathway Interference: S.A. Benner. Dissection of signal-regulated transcriptional modules by signaling pathway interference in oncogene-transformed cells (R. Schäfer, O.I. Tchernitsa et al.). New cysteine protease inhibitors in physiological secretory fluids and their medical significance (N. Katunuma, A. Ohashi et al.). Session XI. Special Symposium Lecture: P. Talalay. At the nucleus of the problem: Nuclear proteins and disease (N.M. Maraldi, G. Lattanzi et al.). Author Index. Subject Index. Contents of Recent Volumes. This volume contains papers of 23 outstanding scientists who are working at the leading edge of metabolic regulation studies. Much of the volume focuses on novel aspects of signal transduction with emphasis on the role of phospholipase C in cell control mechanisms. One of the highlights of this volume is always the Special Symposium Lecture. This lecture was given for fifteen years by Nobel laureate, Sir Hans A. Krebs (UK) (now deceased). This year the Lecture was given by Nadir Maraldi, Director of the Laboratory of Cellular Biology and Electron Microscopy, University of Bologna, Italy. Professor Maraldi's presentation is on the important and novel subject of "Nuclear Proteins and Human Disease."